Over the last 6 months I have been getting more and more excited about playing dress up, thrifting, finding comfortable (yet stylish) outfits for "mommy days," and my never-ending hunt for supportive teacher shoes. You might have noticed that I even added at tab Teacher Style on my blog, to create a place for me to document, share, and experiment with fashion! This summer I found a online clothing boutique, Ily Couture. I have had the opportunity to style some of their clothes on Instagram, and I have officially signed on as one of their brand ambassadors! What that means, is every couple months I will be featuring some of Ily Couture's clothes on my blog and Instagram. One of my favorite parts about Ily Couture is their seasonal clothes. They aren't IN YOUR FACE, but subtle, super stylish, and the fonts and graphics are amazing. Hence my "Some 🐰Loves You" shirt! The scoop neck and color make it super feminine and you don't even know it's an Easter shirt until you take the time to read the text. 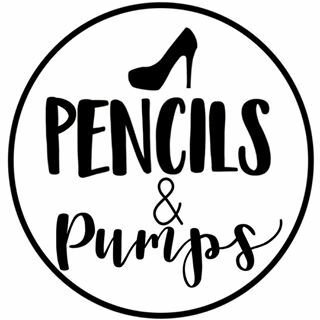 Another exciting announcement is that Ashlyn from The Creative Classroom and I started a teacher fashion Instagram account: Pencils and Pumps. It is in its beginning stages, but if you want to follow along, find us on Insta!